Vladimir Putin and Emir Kusturica. Kusturica also said he would like to visit Russia more often and plans to make a movie in the country. Renowned Serbian movie director Emir Kusturica said on Nov. 4 Russian President Vladimir Putin has brought equilibrium in global politics. Kusturica spoke to the journalists in the Grand Kremlin Palace where the president is scheduled to hand out orders and medals to foreign citizens for their achievements in enhancing peace, friendship, cooperation and mutual understanding between people. The Serbian filmmaker said he is glad to receive the Order of Friendship. "This is a very big award for me as I think and I believe that Russian President Vladimir Putin is a person who brought balance in global politics," Kusturica said in the Russian language. Kusturica also said he would like to visit Russia more often and plans to make a movie in the country. "I want to produce a movie here, in Russia. And I’ve got many ideas, I don’t know what choice I should make now," he said. Besides Russia, Kusturica wants to make a movie in France. "My films were always Serbian, and an English one. I should make the Russian and French ones," said the filmmaker, who also has the French citizenship. Emir Kusturica was born on Nov 24, 1954 in Sarajevo, former Yugoslavia. He initiated the International the Kustendorf International Film and Music Festival and a short documentaries festival in Visegrad, Bosnia and Herzegovina. In 2005, he was President of the Cannes Film Festival Jury, in 2011 he presided over the jury of the Un Certain Regard section of the Cannes Film Festival official selection. 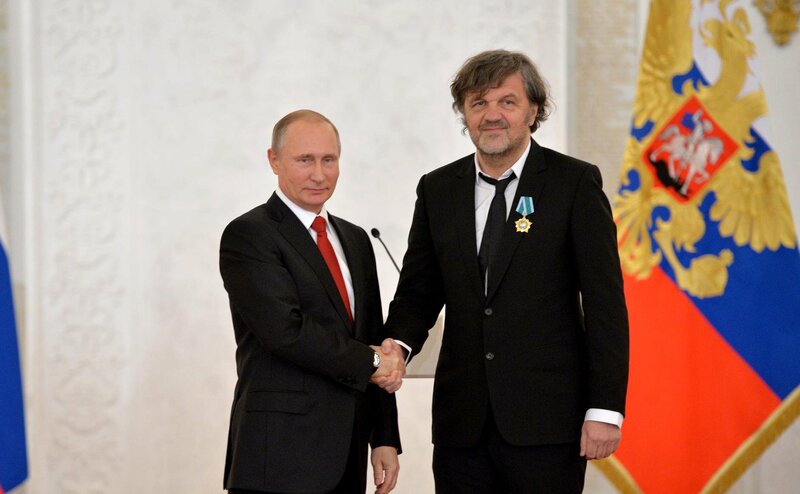 Kusturica has been given many awards for his activities, including the Order of Arts and Literature (France, 2007), Order of the Legion of Honor (France, 2011), Order of St. Sava (Serbian Orthodox Church, 2012), Order of St. King Milutin (Serbian Orthodox Church, 2014), Order of St. Stephen (Serbian Orthodox Church, 2016). In 2009, he received the Unity of Orthodox Nations International Foundation Award.